Even though you may be the boss, if your employees leave then you have no business. When you are running a business, it is critical you can take care of your employees- this means making sure that they know when their work is not up to scratch as well as receiving recognition when their work is above standard. If you are a good ‘boss’, then you are well aware that happy employees equate to happy customers, and therefore happy profits. But, the question remains; how do you keep a happy team of staff members? The answer is simpler than you might expect. When it comes to keeping your staff happy, all you have to do is have a consistent rewards system for excellent work. Recognize when your staff are doing good work, and reward them for the effort. This does not mean that you are required to give out rewards every hour, on the hour. This is not a kindergarten. But you should acknowledge when an employee or employees are working in a manner that supports the goal of your business. When you recognize the good that your employees are doing, you are letting them know that they are valued assets to the company. This, in turn, increases the morale of your workplace and helps to create a working environment that is supportive and conducive to good values and work ethic. The first ‘R’, recognize, is pretty self-explanatory. Recognize the good work your employee or your team of employees are putting in. The second ‘R’, reprisal, simply implies the reward that is offered after the good work has been recognized. Unsure of how to offer a rewards program that works? Learn more from FineAwards.com to see how to offer a rewards scheme that motivates your team. The third ‘R’, retain, refers to consistency. The rewards program needs to be consistent thereby giving your employees something to work towards. By having these three ‘R’s in place, you can ensure staff positivity and good results in your business. And, at the end of the day, what does this equate to? Good turnover. Higher profits. And higher customer satisfaction. What Are The Benefits Of Having A Staff Reward Program? Although it may sound crass, at the end of the day business is about one thing; making money. When you maintain steady staff retention, you end up saving money on recruitment. The recruitment process can be costly and therefore you can see that maintaining staff retention with employee recognition programs and processes will be similar to a long term investment. Support your current employees to help shape them into the ideal employees for your company and you won’t have to spend money to get new recruits. Moreover, employees who feel supported by management are less likely to leave the company. In this way, you can see how constructive it can be to have a good rapport with your team of employees. And, here’s another thing: when you have long term, happy employees, you are helping to create assets for your company. Experienced employees who are happy about their post-offer your company a great deal. This is because the longer the length of time your employees are working with your company, the higher their standards of loyalty and they will be able to promote your business in a more authentic way. Also, if you have long term employees, it is a further positive reinforcement for your company and those looking to do business with you. When you offer recognition and reward for your team, you are building up the morale within. When you look at a workplace culture that has a high rate of staff leaving and new staff being introduced, this has a profoundly dramatic effect on workplace morale. This is mainly because the staff will feel easily disposable, and easily replaced. Imagine yourself in this kind of workplace culture and ask if you would put in an effort for a company where you feel grossly underappreciated. When you reward your team members, you help to make them feel motivated. This motivation will echo throughout the work and into customer relations. All in all, it is a positive pillar to support your workplace. What is the result of happy workers? Higher productivity rates. 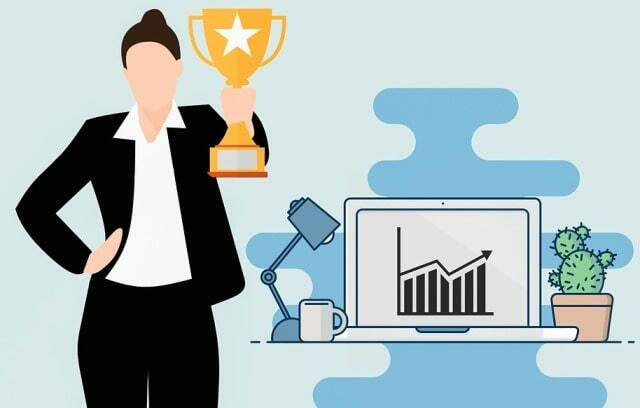 When employees begin to see their work being appreciated and their efforts being noticed, the overall team and employee satisfaction will rise as well. This helps to maintain a steady effort throughout the workplace. Once the ‘good work’ becomes a standard, then you will begin to see your productivity levels consistently rising. This is the best motivator for employees. What Are The Difficulties Faced With Reward Systems? 2. Your staff will see the compliments as insincere. Remember, when you are setting up the rewards program for your staff members, consistency is key. The management team should set up criteria which can be used to identify what is important behaviour for your company to reward. In this way, management can easily identify what work is worth the highest reward. Setting up rewards for your staff members should be seen as a long term investment for your company. Take the time to develop a good rewards system, and your business will begin to reap its own rewards in due time.